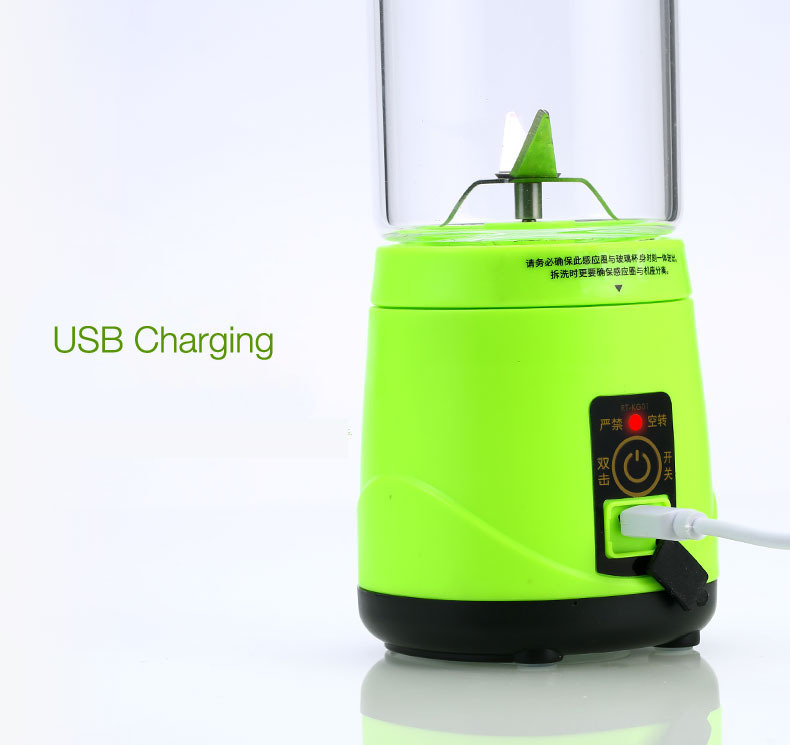 Imported high-power motor, stainless steel stirring blade, sharp and durable. Double power and 4 stainless steel, it only need 40s to complete the juice. Borosilicate glass bottle, it is healthy and eco-friendly. Mirror surface cup cover, it is also a make-up mirror. Unique carrying rope design, portable, practical, take silicone material, durable pull constantly. Truly portable and conveniently, makes you blend and drink from the same bottle. 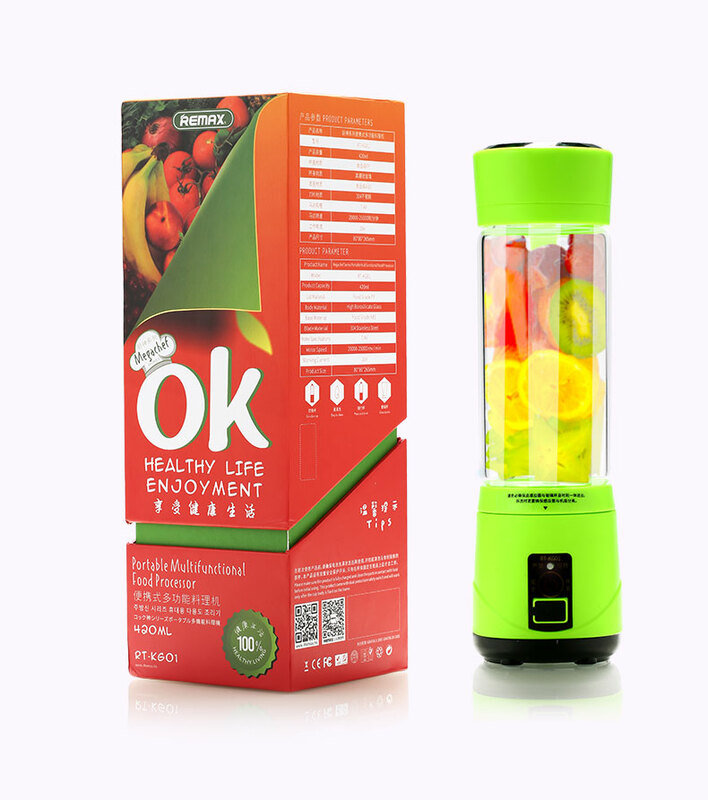 Enjoy your fruit juice anytime and anywhere.